The title playfully references Damien Hirsts’ diamond encrusted skull. Keri cast the wings and fabricated the setting for each diamond and created the special mounting for Jamie’s beaded design with various silver elements. The bracelet mixes oxidized and polished sterling silver with 18k and 22K gold. 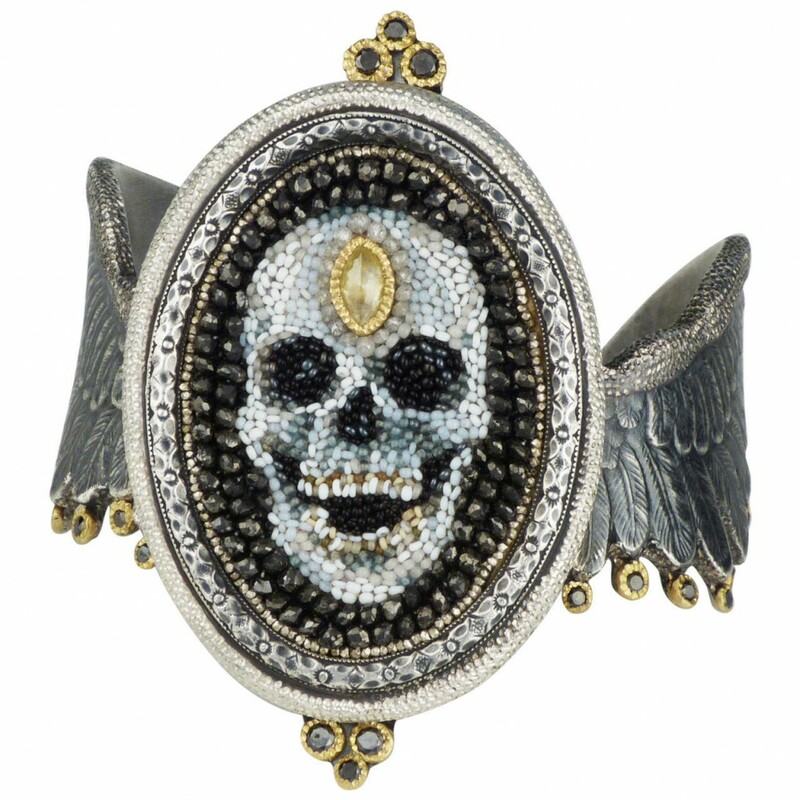 The beaded skull is made with black diamond beads and glass beads on Native tanned hide by Jamie Okuma, with a spectacular rose cut marquis diamond set in a 22k handmade bezel in the middle of the skulls’ forehead. The wings are tipped with smaller black diamonds, surrounded by 18k gold hand made bezels.